Everyone knows that olive oil is one of the best items to have in the kitchen. Ever (along with balsamic vinegar, of course). From salads to desserts, there’s always room to use some EVOO (extra virgin olive oil). However, did you know that there’s use for olive oil…besides food!? There’s a reason why it spanned civilizations and centuries (other than tasting so good). 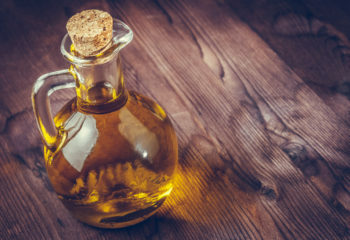 Read below to check out just a few, out of the many ways olive oil is useful. Who needs shaving cream when you have olive oil? 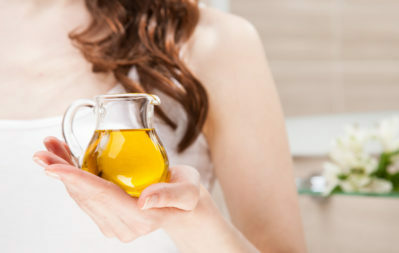 Before shaving, pour a little bit of olive oil on your hands, rub them together, and then apply it to your desired area. The oil acts as lubricant which will let the blade glide over your skin without nicks or scrapes. After you’re done, apply a little bit more for an aftershave moisturizer. Who doesn’t like a clean shave without artificial chemicals? EVOO is also great for the hair you want to keep. Just rub it into your scalp after a shower to soften and condition your hair. Also, if you ever have the misfortune of getting gum in your hair, don’t grab the scissors just yet. Just dab some olive oil onto the gum, let it sit for a while, and then remove it. Olive oil can also help rid your home of sketchy cleaning chemicals as well. Need wood polished? Just mix olive oil with lemon juice and you’ve got yourself some polish. Apply it with a cloth, rub it in, and let it air dry. Squeaky door hinges? Spray it out of a bottle or use a rag to rid your life of a minor annoyance. Dry or worn out leather? Rub some olive oil on it to bring back some shine to your shoes. Does your partner’s snoring keep you up? Instead of going crazy from a lack of sleep, have them take a few sips of EVOO before bed. The oil will loosen the tension around their respiratory passages. Olive oil is also a great remedy for ear infections as well. Just use a dropper to apply some warm, NOT hot olive oil into your ear. Cover the ear up, and compress for a few minutes. Let it drain out, and continue to do this once or twice on a daily basis. Olive oil has antibacterial properties that can relieve your infection as well as create a protective layer to prevent infection. Personal grooming, maintenance, and home remedies are just a few of the alternative uses for olive oil. It’s not just an essential item for a kitchen, but an essential item for a home. What’s not to love about something that’s organic, tastes good, and can do so much? Stop by the Kalamazoo Olive Company to pick up a bottle and to check out our many varieties of EVOO.